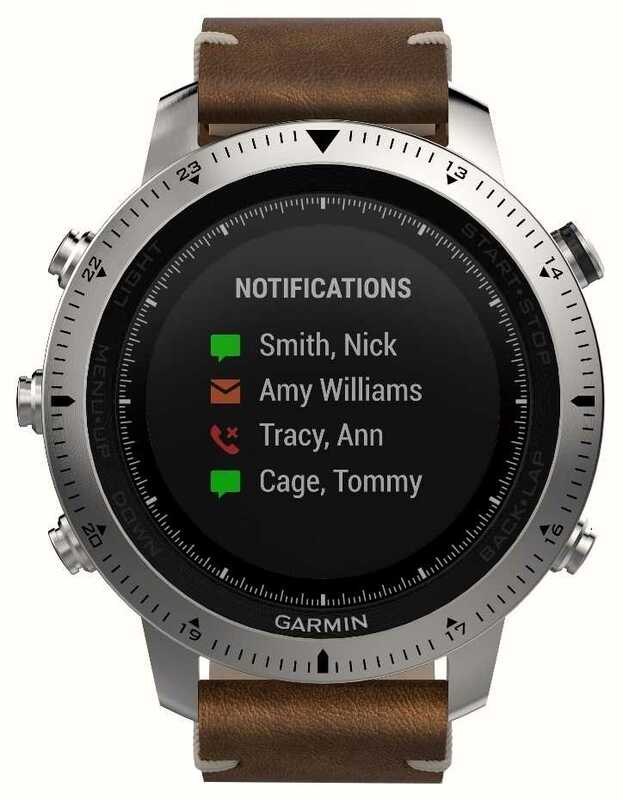 Garmin have always been at the front of the pack when it comes to innovation, and their premium timepieces certainly keep the adventurer or athlete right at the front with unmatched features and bags of style. This Fenix Chronos model has a hi-res digital dial in colour, surrounded by a space-age bezel and case, and complete with a brown leather strap in a natural finish. 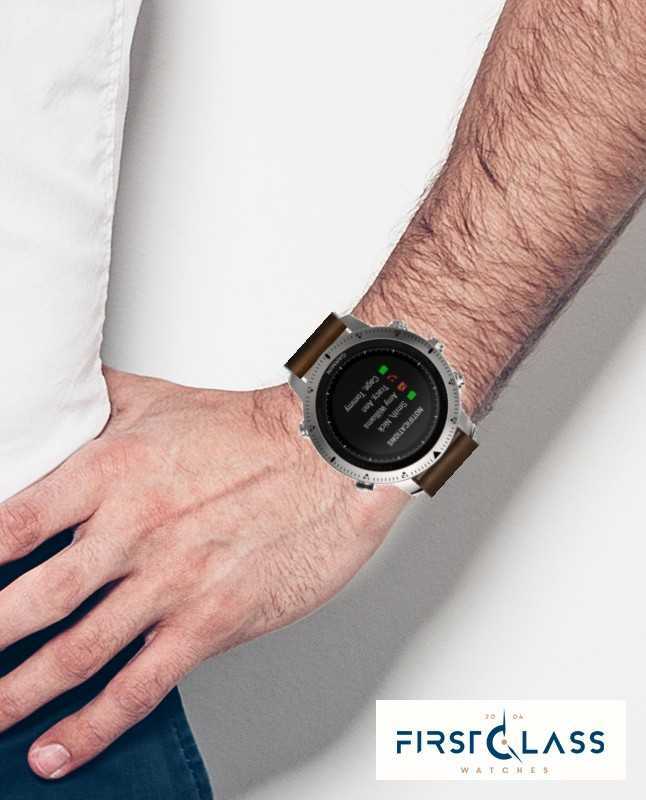 Features: wrist based heart rate monitor; sapphire glass lens; GLONASS accurate GPS navigation with advanced barometric altimeter, 3D compass, and breadcrumb trail among others; sunlight-readable display; profiles for multiple sports including golf (green yardage, stroke rate, efficiency, distance, speed etc); fitness metrics, mobile alerts, and more.